A Traeger wood pellet grill cooks using indirect heat. The Traeger allows food to grill unattended. It uses a fan to create a convection oven inside the covered grill. 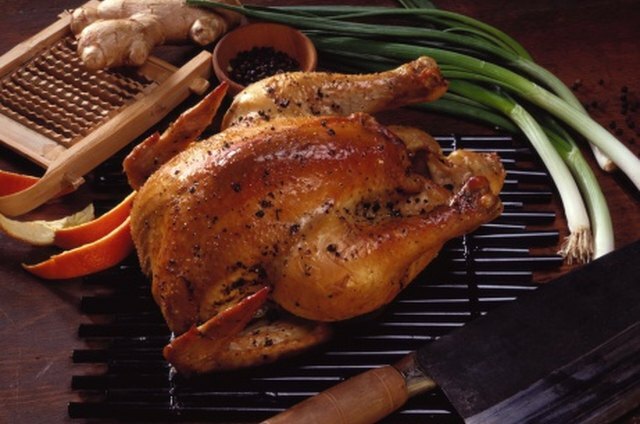 Brining the chicken before you cook it on the Traeger creates a moist and flavorful bird. A basic brine includes salt and sugar. 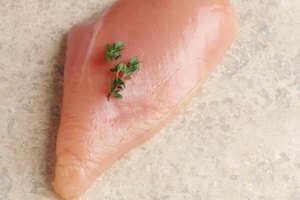 You can substitute liquids such as juice or wine and add flavorings such as garlic, herbs and onion to the liquid in order to season the chicken. Combine the hot water, salt and sugar in a large stockpot. Stir until the sugar and salt are dissolved. Refrigerate the brine until chilled. Rinse the chicken and remove the neck and giblets. Discard the neck and giblets, or reserve for another use. Place the chicken in the stockpot. Add water to cover the chicken, if needed. Place a dinner plate on top of the chicken to keep it submerged. Place the stockpot into the refrigerator. 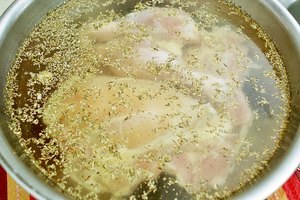 Remove the chicken from the solution after 8 to12 hours. Rinse well, pat dry with paper towels and truss, if desired. Discard the brine. Select smoke mode and start the Traeger. Leave the lid open for 4 to 5 minutes to get the fire started. After the fire is established, turn the temperature to 400 degrees and place the chicken on the grill. Grill for approximately 70 minutes. The internal temperature of the chicken should be 170 degrees when it's done. Allow the chicken to rest for 20 minutes before carving. If you're in a hurry, you can use ice to quickly chill the water. Decrease the amount of boiling water to 2 qt. and add 2 qt. of ice after the sugar and salt are dissolved.